Where is the other split squad playing today? Is this in Goodyear? Tyler Holt is a decent end of the bench guy. 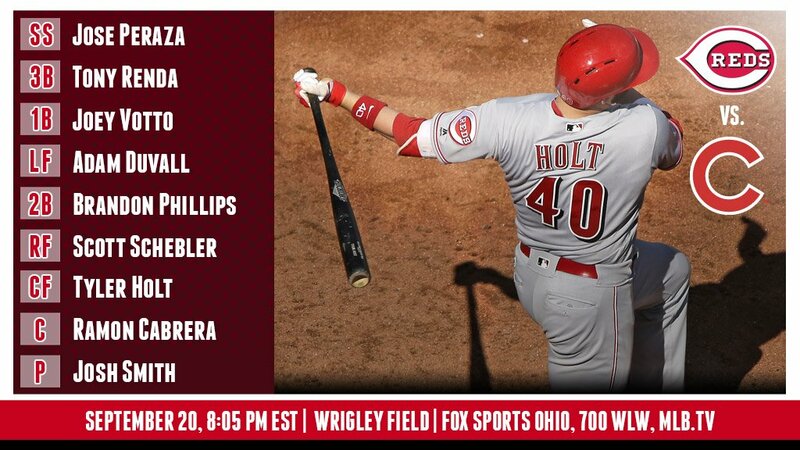 The Reds should be aiming higher than end of the bench guys on the big league roster, especially ones who get 200+ PAs. He and De Jesus should be the first guys gone just to remove the temptation of keeping them around. There are dozens more just like them all over minor league free agency. So get rid of them just to get rid of them? If there are dozens just like them, why change? To make room for better players. The idea that there are many just like them simply means if the better players who could replace them don't work out, they can be easily replaced. Thom a bit up in arms about Peralta...fair enough. Serious question, is Gary Sanchez Rookie of the Year? Wow...Votto's D leaves me speechless. It's in right field, it's not really the 1B's play. So why didn't Phillips throw the ball home on the first run of the game? It was Schebler's fault even though he was 20 feet away. Votto was there and should've caught it. It's really nobody's "fault", but Schebler should be charging in full bore yelling "I got it" instead of leaving Votto twisting around looking for it.